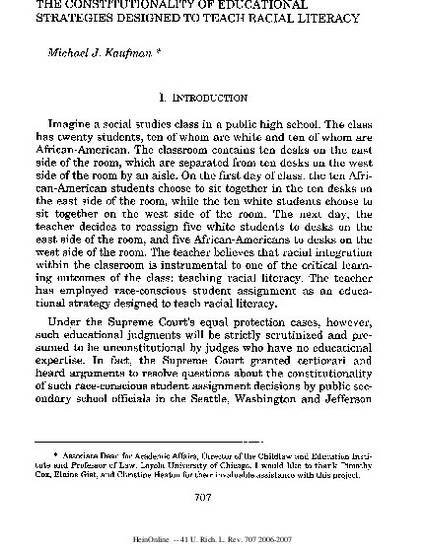 Reading, Writing, and Race: The Constitutionality of Educational Strategies Designed to Teach Racial Literacy. Kaufman, Michael J. Reading, Writing, and Race: The Constitutionality of Educational Strategies Designed to Teach Racial Literacy, 41 U. Rich. L. Rev. 707 (2007).